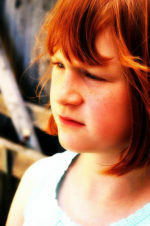 We are working on a series of posts titled Voices of Parents with Autistic Kids – The Truth as We Know It. As such we need your stories. If you could tell one story about your child with Autism, what would it be? Names will be changed to protect your identity. Since the tragedy in Newtown, more news stories are being posted regarding whether or not the killer had Aspergers Syndrome. The same applies to the college campus killing in Wyoming a couple of months ago. So we are working to dispel the negative imagery that is being associated with people who have autism. There are even reports attempting to tie the killer to a childhood vaccine adverse reaction. We understand that people need answers. But we also understand that we don’t want them using our kids’ diagnosis as a scapegoat. The killer may have had a mental illness. He may have had Autism, but it wasn’t the autism that caused him to do this horrible, horrible thing. These are our stories. The first series will be published on the 21st of December 2012. If you want to share your stories, please fill out this form and we will be in touch. I am going to use the R word. Heart is breaking… for David.